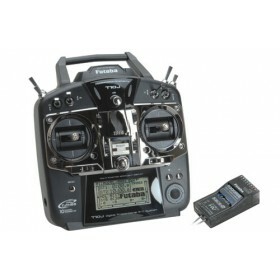 The Futaba T8J transmitter with S-Bus enabled full range Futaba R2008SB 8-Channel 2.4GHz S-FHSS Receiver is an impressive 8 channel transmitter packed with features and it's a very easy to use and program RC Radio system. The jog dial and input keys on the Futaba T8J are used to gain quick and easy access to all of the features and menus, the navigation through the software is very intuitive which means programming is straight forward and hassle free. 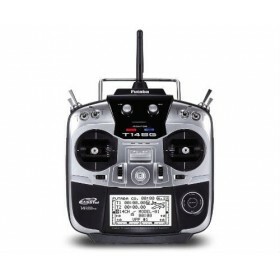 The T8J transmitter comes packed with advanced features including "dual antenna diversity" on both the transmitter and receiver, mixing and control functionality with no less than 20 model memories with 10 character user and model names displayed on the large and easy to read LCD display. The T8J offers you a great deal of flexibility and is supplied complete with a rechargeable transmitter battery and charger. 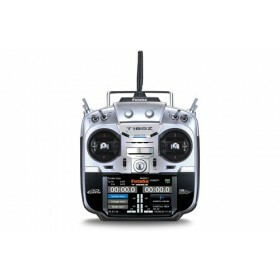 The Futaba R2008SB S-FHSS receiver supplied with the Futaba T8J transmitter RC Radio system also offers 8 conventional outputs which will work with the existing R2006GS and micro R2106GF receivers. The R2008SB is also one of the quickest receivers available on the market, a frame rate of only 6.8ms means that you get a locked in and connected feeling like no other. 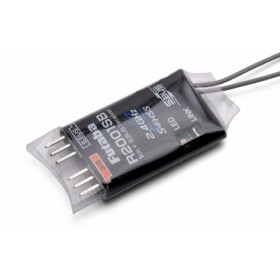 The R2008SB will also work with a voltage range from 4.8-7.4 volts, which means you can connect a 2s lipo direct to the R2008SB receiver. 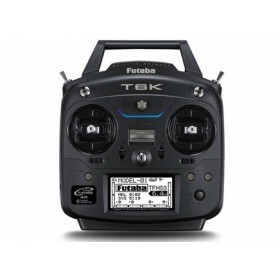 Read the full review of the Futaba T8J here. 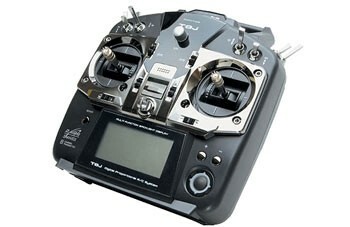 The Futaba T8J transmitter is the perfect radio to use with the DJI Naza M V2 GPS as it takes full advantage of the Futaba S-Bus system, this means that there is a very tidy installation over and above other non S-Bus systems like the Spektrum DX8 using the AR8000 Receiver, this means you only need to use one wire for all communications with the Naza from the 8J and R2008GS receiver. The J8 has 2 three position switches which allows for all features of the Naza to be used,including the fail safe on loss of signal to Return To Home and land automatically. Large 128 x 64 dot LCD With LED Backlight. FHSS / S-FHSS Transmission Modes. Advanced Inbuilt Aircraft / Heli Mixing. 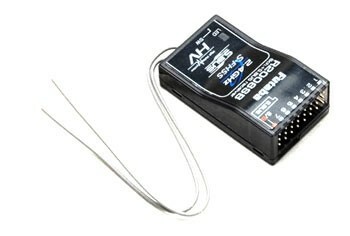 Rechargeable Tx Battery and Charger. Just getting into multicopters and needed some radio gear. Delivery was next day and BYOD were great answering my endless questions. Great product - Delivered promptly , Thanks. Thanks BYOD for recommending this T8J to me, and for despatching it to me so efficiently. Being a complete novice I can't really draw comparison with other transmitters; I can say though, that within a short period I was able to get it linked up with my shiny new F550, which I took out yesterday for a successful maiden flight. Amazing. 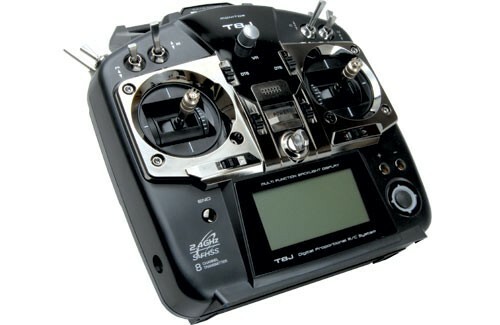 I have never used a transmitter for flying before. This was easy to use easy to setup. This is connected to a naza m v2 in a dji f450. Using the Naza assistant on my laptop to configure the settings with a little help from everyones friend YOUTUBE everthing was sorted pretty quick. I have used YOUTUBE to find out how to set expos and duel rates but now I am more than happy to just go into the menu and play with the settings myself. The menu is pretty simple to work out on the handset once you get the gist of it and looking back at other reviews if you come across a real problem the guys at BYOD seem more than able to assist. Great bit of kit and a great service from all at BYOD. Great customer support and very fast delivery to UAE.